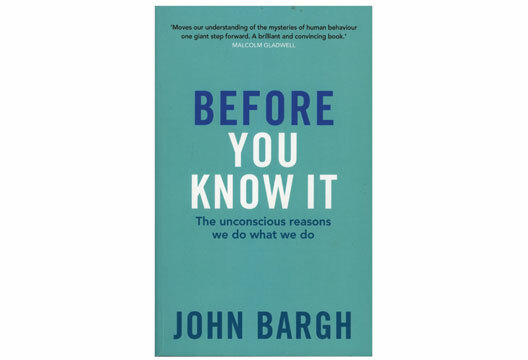 John Bargh is a charming and expert guide to research on the importance of our motivations, goals, habits, history and environment in affecting our everyday behaviours. His enthusiasm for the topic, and track record for conducting experiments with just that bit more flair than most, shine through this book. He walks us through a series of striking demonstrations of how small differences can have big effects on our behaviour. These are things such as his famous experiment reporting that students who did a word-unscrambling task priming the concept ‘elderly’ walked slower down the corridor upon leaving the experiment, or the study showing that holding a hot drink influenced people to rate a stranger more warmly. A core topic of the book, so called ‘social priming’ has been very staunchly criticised for being based on shifting sands of unreliable, selectively published research. It is remiss that he doesn’t once offer a rejoinder to these criticisms. Also, Bargh’s use of the term ‘unconscious’ is over-inclusive. It is not valid to infer, as Bargh does, from a lack of report that a participant is unconscious of a driver of their behaviour in any strong way. Bargh can use the word ‘unconscious’ to mean ‘not often discussed’ if he wants, but it is an unfair trick on the reader, who might assume that the word carried some deeper conceptual importance. These problems mean that ultimately this book, despite its virtues, is misleading for novices and unsatisfying for experts. A missed opportunity.